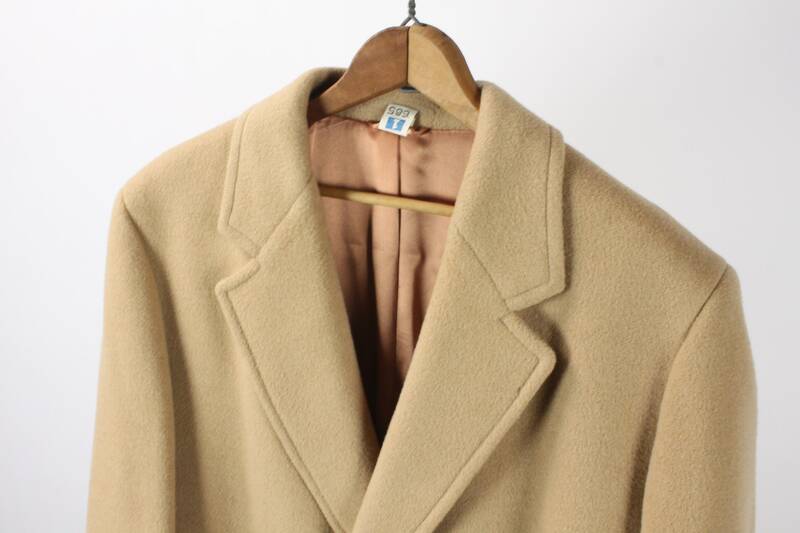 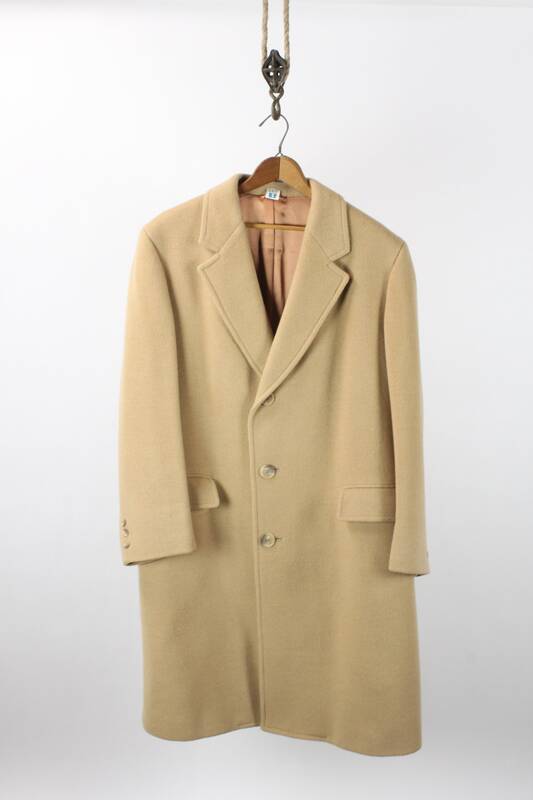 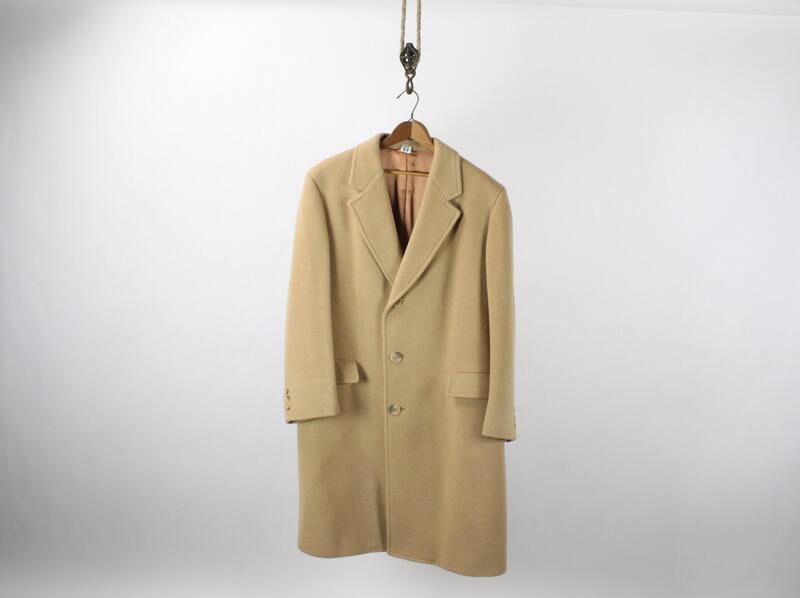 This classic Chesterfield overcoat is an iconic staple of the 20th century! 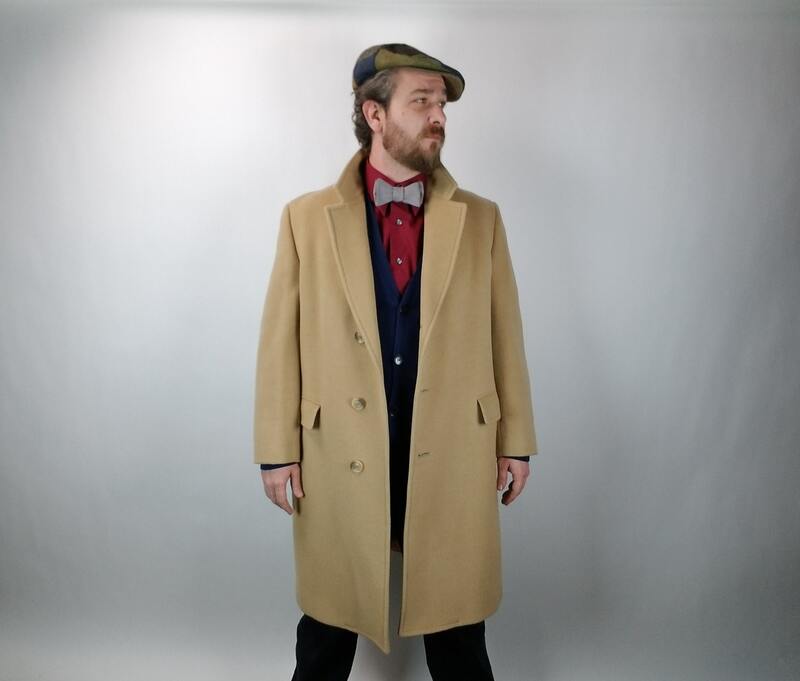 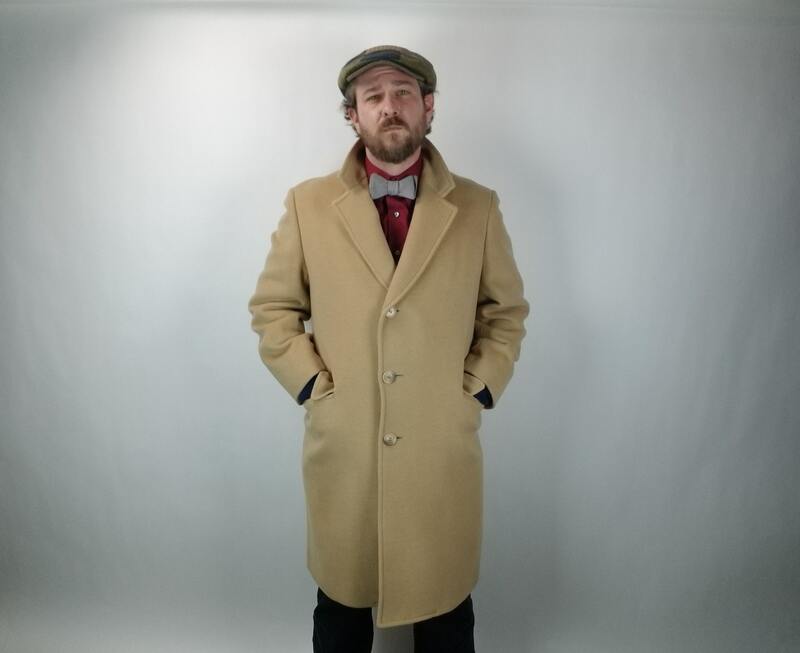 This style of coat replaced the frock style overcoat in the early 20th century as the standard dress overcoat and has been the measure of a gentleman's taste and refinement ever since. 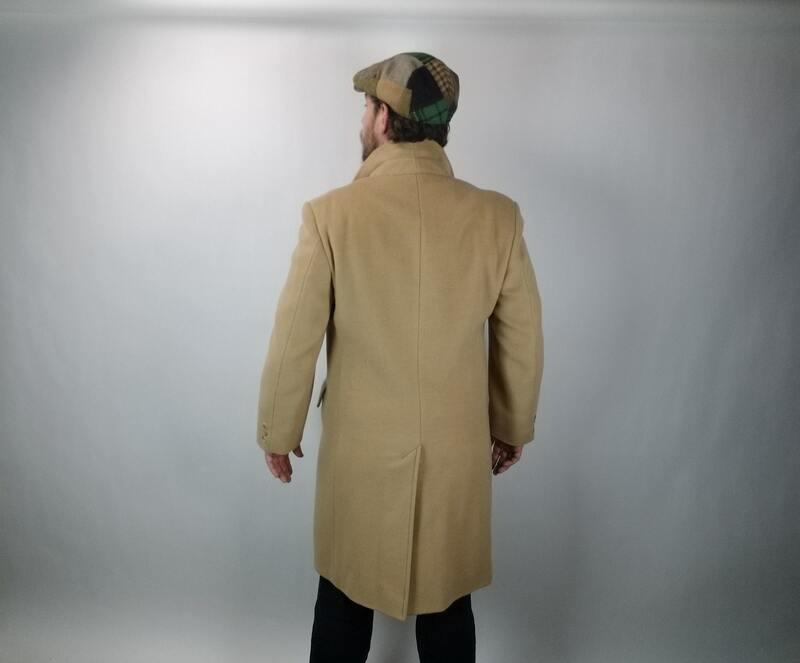 This coat is presented in the size US 41R and features a simple 3 button front closure, two exterior horizontal flap pockets, two interior pockets, full satin lining, vented back and 3 button cuffs! 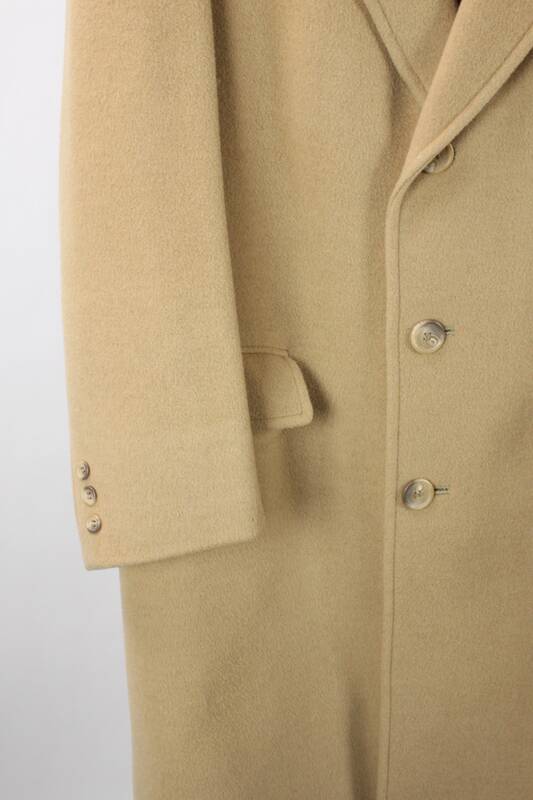 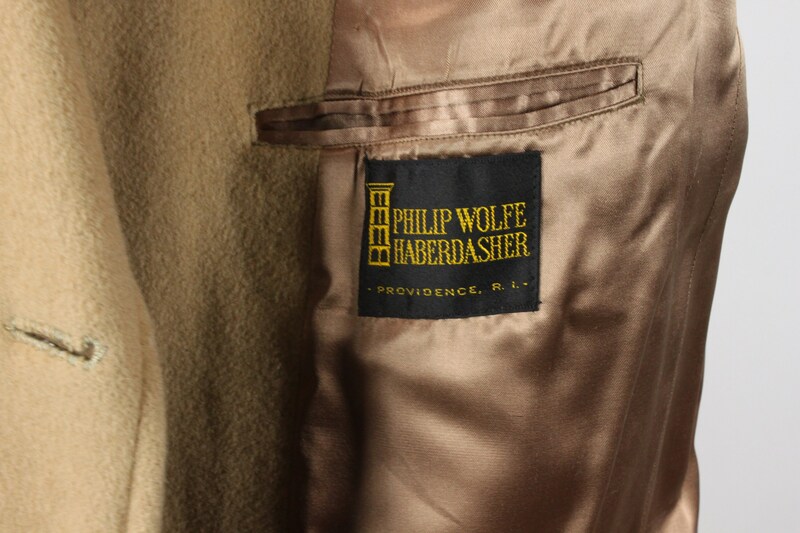 This coat was manufactured by Philip Wolfe Haberdasher, Providence, RI. 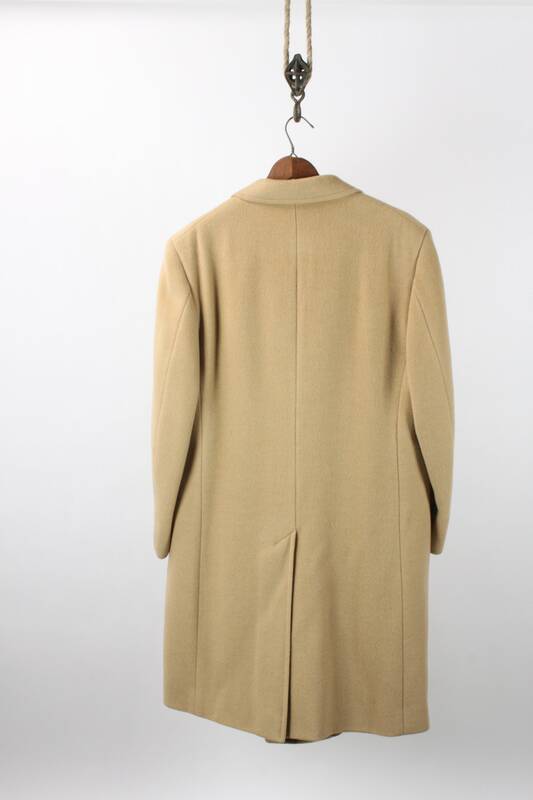 - Underarm - Hem: 30"
- Collar to Hem: 40"